If you are using a cable to connect or charge mobile and compact gadgets like mp3 players, smartphones, cameras, printers or GPS devices, then most probably you are using a micro USB cable. Micro USB cables can be of different types. With the many choices out there, at times, it’s common to get confused with so many things to consider. How do you know which micro USB cable to use with different gadgets and what are the types? In this guide, we will tell you all you need to know about USB micro cables so that you can always pick the right cable for your purpose. Chapter 1 – What is Micro USB Cable? A micro USB cable is the smallest form type of the Universal Serial Bus (USB) and comes with two connection types and USB 3.0. Micro USB cables provide convenient means to connect various devices and plug them to your chargers. Micro USB cables are useful for devices where you cannot use standard or Mini USB connection ports because of their size or usability. All micro USB cables provide the same performance as you would expect from a standard size USB cable. In the next chapter, we will discuss the different types of micro USB cables that you can find in the market. Before we dive into the types of micro USB cables, let’s find out a bit about the USB connection standard. USB cables were introduced in 1994 by some tech companies to provide a unified connection standard for transferring data and electricity. These cables are widely used today for different devices and come in different generations like USB 1.0, USB 2.0 and USB 3.0. USB 1.0 and 1.1 can transfer data at 12 Mbps and are mostly outdated. USB 2.0 is the most popular cable in use capable of achieving 480 Mbps transfer speeds. USB 3.0 can clock 5 Gbps while the newer USB 3.1 can reach 10 Gbps data speeds. USB cables feature a forward and backward compatible technology which means you can use the cables irrespective of their generation (USB 2.0 or USB 3.0) as long as the connectors are the same. The cables will automatically adopt the lowest USB standard when you are using cross-generation devices. Micro USB cables are also classified into USB-A, USB-B, and USB-C types, and feature different types of connectors. You can differentiate the cables with your eyes, but you can’t tell whether it’s a USB 2.0 or USB 3.0 just by looking. On the Go (OTG) devices commonly use the Micro-A USB cable and differs from the normal USB connection. You can establish communication between two devices using Micro-A USB without the need for a computer which acts as a mediator. Micro-A USB cables come with a female, rectangular-sized connector. You can easily identify a Micro-A USB cable by looking at its compact 5 -pin design and white receptacle. 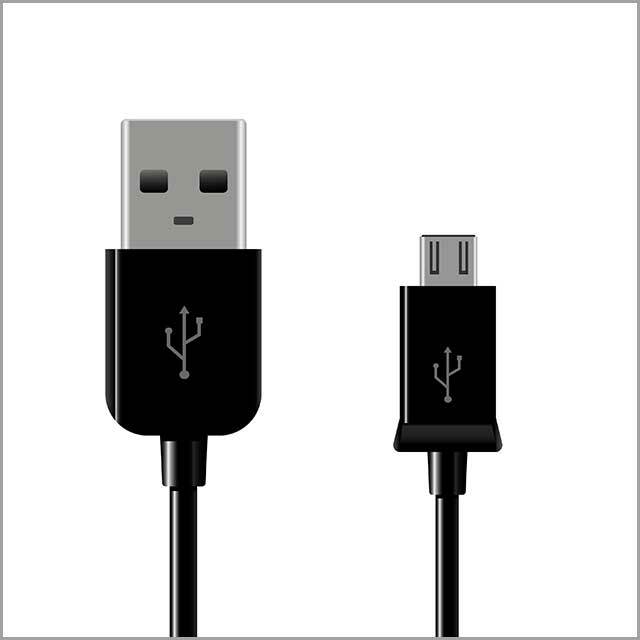 Micro-A USB cables often are compatible for use in conjunction with Micro-B USB gadgets. The OTG devices normally have a Micro-AB socket which provides ports for supporting both connection types. You can find the Micro-B USB standard in most of the smartphones and various small electronic gadgets. There’s no difference between USB 1.1 and USB 2.0 in case of Micro-B ports, and they look the same. 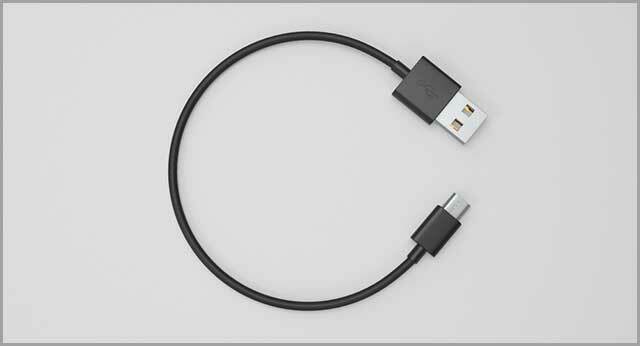 The Micro-B USB cable is available with both male and female connectors so that you can use devices using different connection types. Generally, you will see a female connector on smartphones, whereas the cable comes with a male connector. Micro-B USB connectors appear like a half-hexagon in shape, as the ports and connectors feature tapered edges. Generally, the cables have a black-colored receptacle and portable 5-pin design. USB 3.0 cables can be compatible with both Micro-A and Micro-B USB ports. The cable connector size of USB 3.0 is a bit bigger than USB 1.0 and USB 2.0 standards and suitable for handling the high transfer speed of USB 3.0. You also have to keep in mind that Micro-A and Micro-B don’t use the same connection standards. The new generation of USB 3.0 standard presents a double-socket connection port. 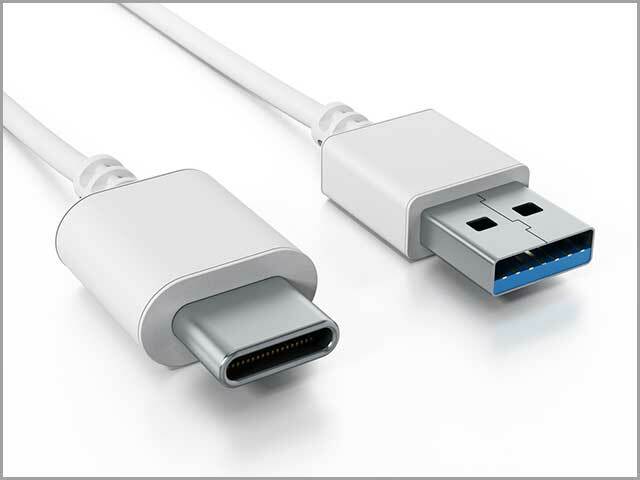 The USB 3.0 devices generally use a cable that is divided into two connectors to ensure backward compatibility. You can use one connector for older Micro-A or Micro-B cables, while the other one is reserved only for USB 3.0 connections. Smartphones using USB 3.0 generally have dual-mode device connection. The functionality enables you to use the single port as a peripheral port, while it can also play the part of a host port. Now that you have an idea about different micro USB cables let’s find out more about its applications. You can use micro USB cables for a wide range of applications. Do you know you can even find a micro USB to HDMI cable to directly access all your favorite videos and movies? Keep reading to find out more about micro USB cables and their applications. Tablets and phones have their displays to help you watch movies, play games or see videos. But for many people, the screen size is too small, and they need something bigger! 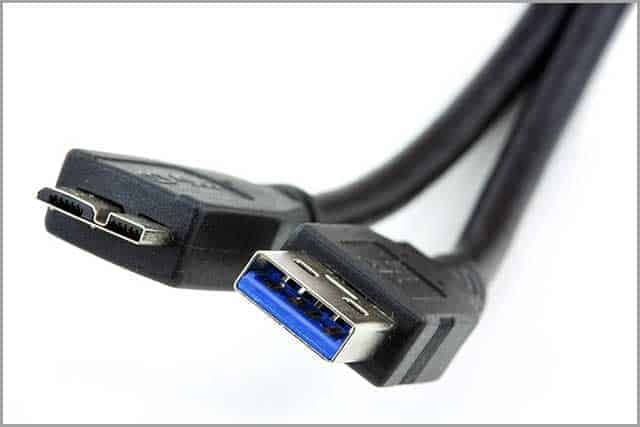 Micro USB to HDMI cables enable you to connect MHL-enabled tablets and smartphones with TVs or other display devices using the HDMI port. It is a convenient and cheap method and doesn’t need you to get lost in a mess of cables. 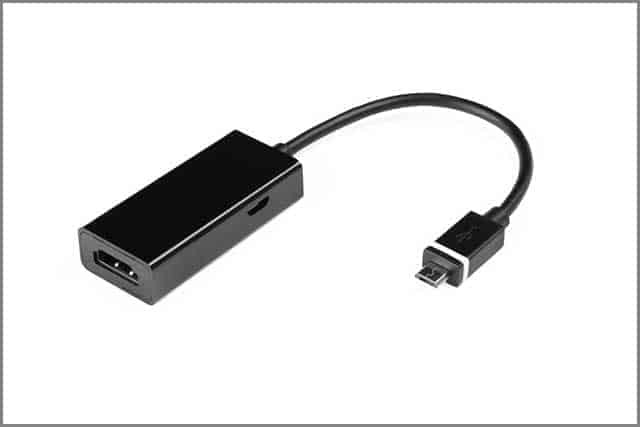 The micro USB to HDMI uses the micro USB port of your tablet or smartphone and passes the signal to the adapter which converts it to HDMI format to connect with your TV. If your TV doesn’t support MHL, then you will need to connect a USB power cable to the converter which provides charge to your phone or tablet. You can use the display of your TV to play games, browse the internet, watch movies in HD, see photos and more. The micro USB to HDMI cable supports both video and audio. The recent standard of MHL can provide 8-channel surround sound and even play videos at 4K resolutions. Older versions can support 1080p video formats with 7.1-channel digital audio. You should check if your tablet or phone is compatible with MHL first before buying the micro USB to HDMI cable. Do you find the length of your micro USB cable too short? Can’t charge your phone sitting on your couch as the cable doesn’t reach the wall power outlet? You could resolve your problems in a jiffy using a micro USB extension cable. The extra length of cable serves as an extension between devices or cables and help you cover more area than you can with a single cable. The extension cables have a micro USB male port at one end and feature a micro USB female port on the other end. The extension cables can support USB 2.0 or USB 3.0, so you should consider your data transfer needs before choosing one. The connectors at the end of the micro USB cables also vary. You can find micro-A ports, micro-B ports and some newer versions also come with Type-C port. So it’s necessary to check the ports of the devices you want to connect before buying a micro USB extension cable. Some solar panels also use micro USB cables, and the extension cords can help establish connections over increased distances. Micro USB to micro USB cables are used to connect two devices to transfer data or power. 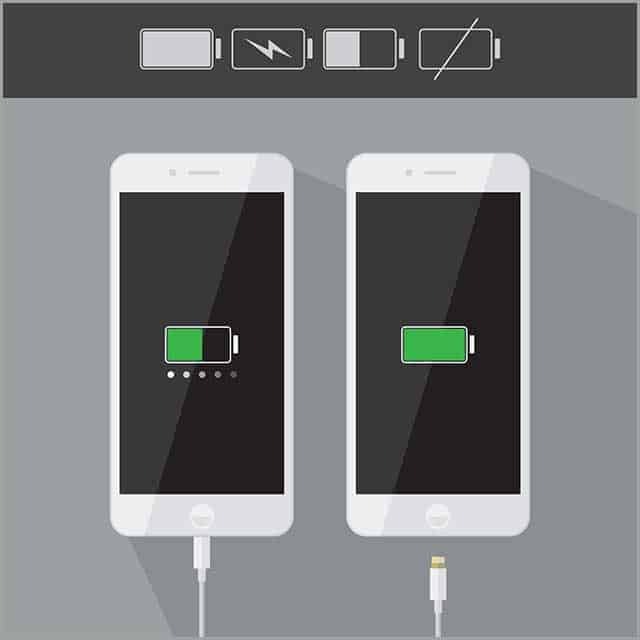 For example, you can connect two tablets, one tablet, and a smartphone or two smartphones to exchange data or charge the device. Micro USB to micro USB cables have micro USB ports at both ends. One end of the cable is generally labeled as “Host” which you need to plug into the master device. The cable carries power from the master device at the host end to the other device while you can transfer data in both ways. The cables come handy when you don’t have a charger nearby to emergency charge one device by sourcing power from another device. You can also establish a direct hardline connection between devices using the micro USB to micro USB cable and eliminate the need for extra adapters and lag in performance. The device that you connect to the “Host” port must support On the Go (OTG) functionality. Most Android smartphones and tablets are OTG compatible, so you can be pretty sure your device can use micro USB to micro USB cables. Micro USB to micro USB cables have a wide range of applications. Apart from connecting tablets and smartphones, you can also connect external hard drives or SSDs to carry out data read and write function. You can also hook up other accessories using a micro USB to micro USB cable. For example, you can connect keyboards, cameras, and controllers to your tablet and smartphone using the cable. The accessories must have a micro USB port so that both the devices can work without any glitches. 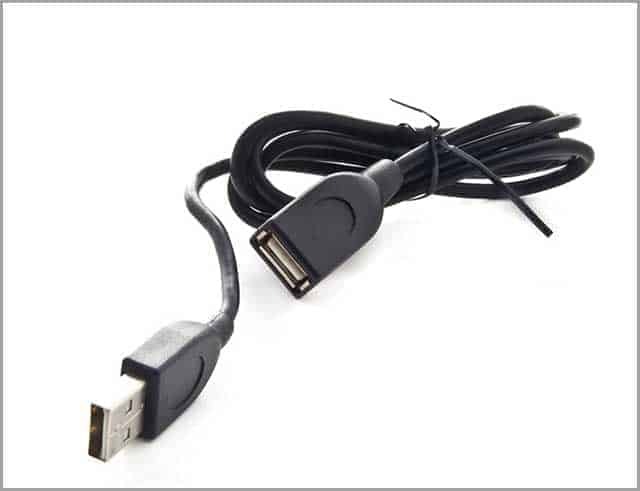 Till now we have discussed various types of micro USB cables like micro-A, micro-B and USB 3.0. Recently a new variant is available in the market called USB type-C. In the next chapter, we will discuss Type-C cables and find their difference with micro USB cables. Are we looking to choose between a Micro USB and a USB Type C? You aren’t alone – there are many making that choice each day. While it was the former earlier, the latter is the choice for many these days. We will take a look at why. You can find USB Type-C in new smartphones, laptops, and tablets. The new standard is slowly evolving to replace the older USB standards and even works for other technologies like Thunderbolt and DisplayPort. USB Type-C features all the new improvements, and some smartphones have even replaced their 3.5mm audio jack with Type-C connectors. Type-C also supports new USB standards like USB 3.1 for achieving higher transfer speeds and improved power delivery using the USB connection. The USB Type-C cables have a new type of connector which is similar in size to a micro USB connector. USB standards have moved from 1.0 to 2.0, and now we have USB 3.0, but the connectors never changed. USB Type-C introduces a new connector which meets the small needs of smaller and thinner devices available today. You can also plug in a Type-C cable without needing to check its orientation as its reversible. Most of the current devices have transformed into USB Type-C so that you don’t need to carry around a bunch of different USB cables for different devices. USB Type-C also improves the power delivery over older standards like USB 2.0 which can carry 2.5 watts of power. Type-C increases this limit to 100 watts and uses a bi-directional technology to send or receive power while you can exchange data simultaneously. Some new laptops like Google Chromebook Pixel and MacBook provide USB Type-C ports for charging. In the future, all devices can switch over to Type-C to make it convenient to charge and transmit data. Now let’s check out the differences between micro USB and Type-C.
Micro USB cables come generally have a micro-B USB connector at one end and the rectangular shaped Type-A USB connector on the other end. Most of the micro USB cables use the USB 2.0 standard while some new smartphones feature the USB 3.0 standard. You can’t connect micro USB cables interchangeably, and they have to fit in only one way. There are two hooks at the lower side of the connector to keep the cable in place. Micro USB connectors were introduced as an industry standard long time back to replace the proprietary connectors used by brands like Samsung and Nokia. USB Type-C cables have the roundish, oblong-shaped connector which promises to bring unity in the field of different connectors. Though it looks a bit bigger than the micro USB connector, in reality, it is more streamlined and compact. The Type-C connector is reversible, that means you can connect it any way you want. You don’t have to flip it numerous timesjust to make sure the right side goes in! USB Type-C connectors mostly make use of USB 3.0 and 3.1 standards which means it can offer better performance than micro USB when it comes to data transfer speeds (5 Gbps to 10 Gbps). It can also support up to 100 watts of electricity, enabling you to charge even your laptop or cameras. Some manufacturers offer Type-C connectors but use USB 2.0 standard due to the low power requirements of smartphones or tablets. USB Type-C has the potential to replace the old Type A connectors in devices like tablets, smartphones, laptops, cameras, HDMI, game controllers, scanners, printers and more. USB Type-C is more versatile than micro USB and is not limited by design. Micro USB cables are still used widely across the world to connect tablets and smartphones and charge devices. We at Cloom Tech can help you know more about micro USB and the implications of manufacturing cables based on the standard. Our expert and professional team cater to businesses of all sizes and helps them meet their custom micro USB needs. We can deliver high-quality cables accurately matching the specifications of your wiring diagram with a quick turnover time. Get in touch with us as soon as possible for a private consultation to know more. 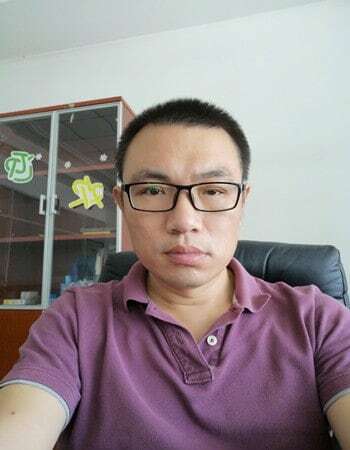 Hey, I am John, General manager of Cloom and OurPCB. I am a responsible, intelligent and experienced business professional with an extensive background in the electronics industry. Reach me at sales@wiringo.com to get a quote for your projects.